Home » EWC » Register your pets for Pet Show 2014! Register your pets for Pet Show 2014! 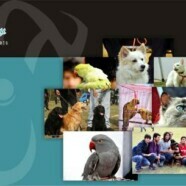 The Annual Pet Show is being organized every year by Earth Watch Club. The purpose of organizing this event every year is to enhance the love of humans for animals and to provide a fun filled event for our students. Moreover the Pet Show highlights the rights of animals, gives information about endangered species and provides a chance to visitors to get to know about various participating breeds. The registration desk has been set outside Ahmad Saeed Administration Building. The last date to register is 11 February 2014. Number of registrations is limited, so registrations are on the basis of first come served.